North Buckhead is a residential, mixed-use and urban neighborhood inside the City of Atlanta, north of the Lenox Square area. The area is heavily wooded with many hills and valleys. 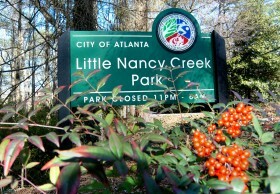 It is conveniently located and has easy access to Atlanta’s best shopping and to the majority of its finest restaurants. Commuting is easier from North Buckhead since it is located on the city side of GA 400’s toll gates and has the Buckhead MARTA station and the Lenox MARTA station is nearby. North Buckhead occupies land area of about 2.5 square miles, roughly 2% of the area of the entire City and is one of Atlanta’s largest neighborhoods. It has over 3,500 owner-occupied residences. Of these, about 48% are single family houses on individual lots. The remaining 52% are condominiums, both low-rise complexes and high-rises. New infill subdivisions and redevelopment of existing home sites are common, gradually increasing the number of free-standing single family homes. New condominiums continue to boost the neighborhood population more rapidly. Peachtree Road (in the Lenox Square area) to the South. Over 40 restaurants operate within North Buckhead’s boundaries and a much larger number are nearby. Proximity to the Buckhead shopping district affords unparalleled access to shopping, casual and fine dining. North Buckhead offers quiet living (very comfortable to luxurious living) in a heavily wooded area with immediate access to many employment opportunities, the best shopping in the southeast US, and convenient access to the rest of the city by expressway and rapid transit.